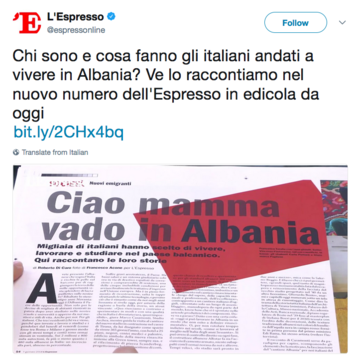 For years, Italian media have been repeating that 19,000 Italians live and work in Albania. Yet, according to the data of the Albanian Interior Ministry, they are less than 2,000. How can we explain such a difference? 19,000. Whether in articles , in television broadcasts , or on social media , when it comes to Italian migration in Albania, that's the figure that we are used to report. But how did this number come up – and, most importantly, who has ever verified it? If the fascinating narrative of the "inversion of flows" has long been established in the Italian media, the first article that sought to quantify the phenomenon dates back to October 2014 – it was published online, going viral, by Corriere della Sera . The source quoted was Erion Veliaj, at the time Minister of Welfare, today mayor of Tirana. This is the excerpt: "'19,000 Italians live and work in our country', says Erion Veliaj, Albanian minister of Social Welfare and Youth in the socialist government led by Edi Rama. Numbers that, excluding entrepreneurs, diplomatic representatives, and students enrolled in medical courses at the Catholic University Nostra Signora del Buon Consiglio, mean 15-16,000 employees". As the article itself notes, similarly to what happens in Italy for all citizens from non-Schengen countries, foreigners who want to stay in Albania for more than three consecutive months are required to apply for a stay permit for work, study, or family reasons. In other words, with the exception of diplomats, an Italian citizen who works or studies permanently in Albania has the duty to report to the Albanian police headquarters and demonstrate to possess the requisites established by law. This is very familiar to Italian pensioners, whose dreams of a low-cost (and low-tax) retirement over the Adriatic often clash with the fact that a pension is not considered sufficient to grant the right to residence. Let's be clear: it is very likely that the Italian citizens currently present in Albania are in a higher number than the residence permits issued. Many are probably commuting between the two countries, or simply did not apply for them. There are also the "returning Albanians" with Italian citizenship – should they be counted too? 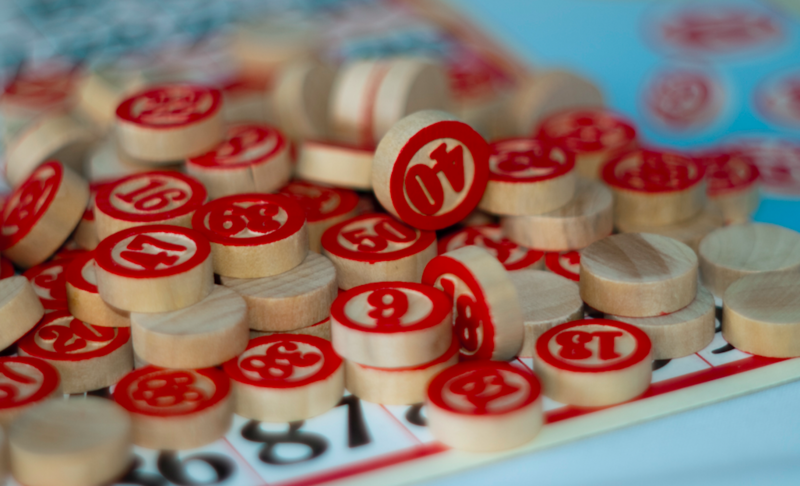 Whatever criterion is chosen, the 19,000 figure remains incompatible with official data. "Fake news" for a good purpose? If we are not willing to believe that the Albanian Ministry of the Interior publishes false data, and if we are not willing to believe that more than 17,000 Italians illegally reside in Albania with no residence permit, we are left with one conclusion: in 2014 Erion Veliaj released exaggerated figures, celebrated for years and never verified by important Italian newspapers. Why? Veliaj's reasons are understandable: in May 2014, when he gave the figure for the first time, he was in Rome to meet his counterpart, Minister Giuliano Poletti, with the aim of starting negotiations for an agreement on the mutual recognition of pensions, a "historical" and still unsolved problem in Italian-Albanian relations (if an Albanian citizen leaves Italy before reaching retirement age, he/she loses all the contributions paid). Veliaj had therefore all the interest to inflate data in order to create leverage – if you recognise the contributions paid by Albanians we will do the same for Italians. However, the resistance of the figure over time has a deeper reason. The idea of a new Albania, desired by those very Italians who for decades had associated the country with rubber boats, is a marketing trick in line with the propaganda of Rama governments. A strategy aimed at renewing the international image of the country and targeting both foreign entrepreneurs and diaspora Albanians, who could finally enjoy a positive stereotype and one day, perhaps, repay it with votes from abroad. In the face of 2.9 million residents in the country (adults and minors), 3.5 million eligible citizens are registered on the Albanian electoral roll. Given the size of the Albanian diaspora and considering that in the last election only 1.5 million of those entitled actually voted, it is apparent that allowing the vote from abroad is not a technical, but a political issue. Once granted, especially without an "Italian" mechanism (reserving a limited number of seats for foreign residents), the consent of the half a million Albanians residing in Italy would gain considerable weight. That is why Albanian politicians take care of their foreign image and that is why, today, the attention paid by the Italian press to Albanian politicians is not politically harmless (also because Italian is still a very widespread language in Albania). Italian credulity is harder to explain. With the exception of the EXIT portal – which also publishes in Italian, but is registered in Tirana – no voice has questioned the figures, in spite of eloquent AIRE data. As recalled by Italian ambassador Alberto Cutillo, the Italians officially residing in Albania as of January 1st, 2017 were 1,385 . Leaving aside the wider issue of the deterioration of our politics and journalism, the carelessness shown in giving credit to a figure without any evidence highlights two typical issues in Italian-Albanian relationships – Italy's carefree lack of interest towards "real Albania" (as opposed to the country of our imaginary through fascism, communism, and democracy) and the symbolic importance of the "Albania of migrants" in the Italian collective imagination. That's why, to describe our crisis (not Albania's progress) we gladly resorted to the joke of "now we are the Albanians" – a parallel that does not do justice to the history it evokes, and that an astute Albanian politician, apparently well familiar with his neighbours, was pleased to exploit. To be sure, Italian immigration in Albania remains a noteworthy novelty. Our entrepreneurs do frequently visit the country, airplanes for Tirana do take off every day from the main Italian airports, every year many students who are not admitted to medical schools do join the Buon Consiglio university, Italian tourism does grow exponentially, a restaurant owner from L'Aquila did build a new life in Tirana after the earthquake. In short, it is true that today's Adriatic is a porous border, especially if compared with the times of the Iron Curtain and Enver's regime. It's all true, and it's all good. However, no official data allow us to state that 19,000 Italians "live and work" permanently in Albania. Repeating it is humiliating towards our profession, and it does not improve relations between the two countries, it does not contribute to the knowledge of Albania in Italy, it does not break down stereotypes, it doesnot do justice to the Albanians and it does not help them to recover after decades of difficulty – for the record, Albanian discomfort and migration are not over, just look at the asylum applications in Europe. It is sad to admit it, but this rhetorical friendship – empty and improvised like the numbers used to tell it – is nothing but a way to give a little media oxygen to Albanian rulers, struggling despite the beautiful image they sell to the Albanians that no longer live in Albania. "Friends" who, in this crucial phase of the European path, would need a serious Adriatic partner, but have only been getting selfies and false enthusiasm from Italy – that perhaps has nothing better to offer.